An easyJet flight was grounded for two hours after a security alert was sparked when schoolchildren reported seeing a man writing Arabic in a notebook. The students, who were aged 15 and 16, alerted cabin crew after spotting the man writing in what appeared to be Arabic script, while waiting for take off. 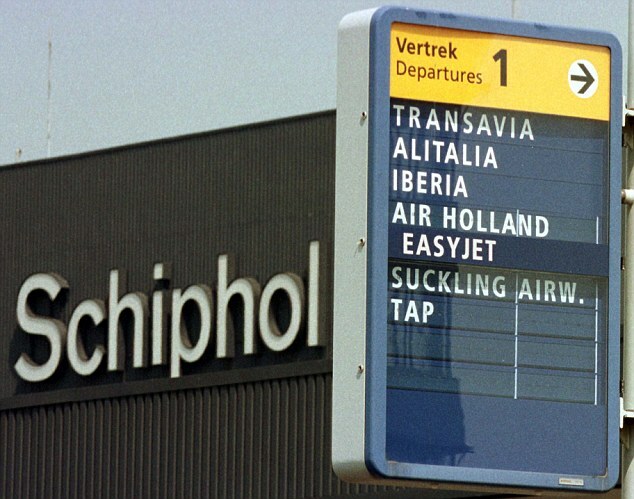 The flight from Amsterdam to Newcastle was delayed to allow for 16 of the 45-strong group of students, believed to be from a school in Northumberland, to get off the aircraft. Technical support worker Adam Robson, 21, who was sat next to the man, said he first became aware of the issue when he felt kicking and banging on the back of his seat as one of the student’s suffered a panic attack. He said: ‘The guy had a notebook and people were looking over at it as it had both Arabic writing and English words. ‘One of the students called a flight attendant over and pointed it out,’ said Mr Robson, from Newcastle’s West End, who had been on a romantic weekend away with his girlfriend Lauren. ‘She went away, but just as we were about to take off there was a kicking and banging on my seat from behind us and the student was having a panic attack. ‘He went from the window seat into the aisle and ran to the back of the plane. Mr Robson said he and other passengers were kept aboard the aircraft as a number of the pupils and their luggage were taken off the aircraft – as temperatures in the cabin soared to 30 degrees. ‘The attendants had to bring us cups of cold water because it was so hot,’ he said. The flight, on Monday, eventually took off, with Mr Robson chatting to the man, who he said seemed ‘completely harmless’. ‘It turns out he was an Iranian masters student at Teesside University and the reason he was in Amsterdam was because his wife was studying there as she’d been unable to transfer to a North East university. ‘He makes the trips regularly and he said he always carries his notebook, which he showed me. It had some Arabic, but the further through you went the more English it had as he had written down sections of newspapers and was using it to teach himself more of the language. On arriving back in Newcastle Adam said he helped the man, whose name he did not know, make his way to Central Station so he could catch a train back to his home in Middlesbrough. The pupils who got off the flight returned on another easyJet flight which landed at Stansted yesterday. 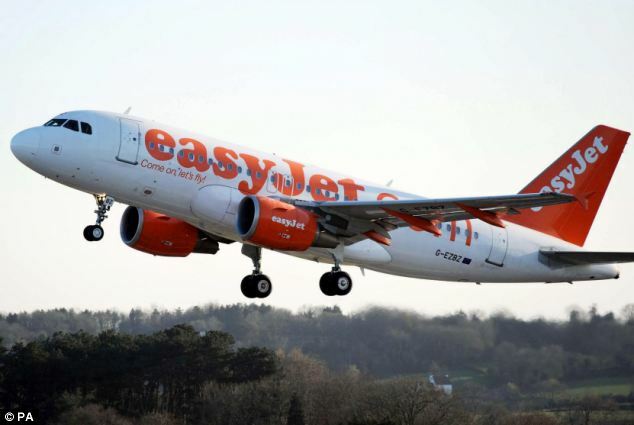 An easyJet spokesman said: ‘easyJet can confirm that flight EZY6554 from Amsterdam to Newcastle was delayed while a number of passengers from a school group chose to move onto an alternative flight. ‘This was due to a nervous young passenger in the group who raised a security issue prior to take off. The Captain fully assessed the issue and the flight was cleared for take off by easyJet’s security department. ‘The safety and wellbeing of our passengers is always easyJet’s priority. ‘The flight was delayed by two hours 20 minutes while the issue was investigated and to enable 16 members of the group to be offloaded along with their baggage. Persian, known to native speakers as Farsi, is the official language of Iran, parts of Afghanistan and Tajikistan. The Persian of Iran is written in a joined-up Arabic script that can be highly ornamental.